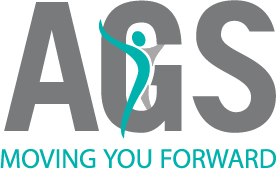 AGS’ Vocational Rehabilitation Consultants work with all stakeholders to identify barriers that might be preventing a successful return to work or pre-injury/disability status. We identify accommodations/services that could eliminate and/or reduce the impact of barriers in an effort to help the individual transition quickly and safely back into the work environment and/or activities of daily living. Our best practice model incorporates assessments and rehabilitation, which are provided by a team of dedicated professionals who share the AGS commitment for timely case resolutions. Give us a call today to discuss how we can be of assistance. Vocational Assessment: Assesses aptitudes, academic achievement and vocational interests. Also takes into consideration transferrable skills, education, work history. Assesses aptitudes, academic achievement, vocational interests, learning potential, personality characteristic, psychological adjustment, IQ and psychosocial skills. Addresses all aspects of the Pvoc and neuro-psychological testing sensitive to the effects of a brain injury or significant cognitive impairment. A full analysis to determine alternate occupations based on a person’s vocational history, education, training, experience, and any medical information noted. Confirms the presence of a specific learning disability and assess the nature and severity of the LD, identify strategies/accommodations to assist the individual in both a training and work environment. Investigates employment opportunities and local trends for specific job options as identified in a Transferable skills Analysis or Vocational Evaluation.